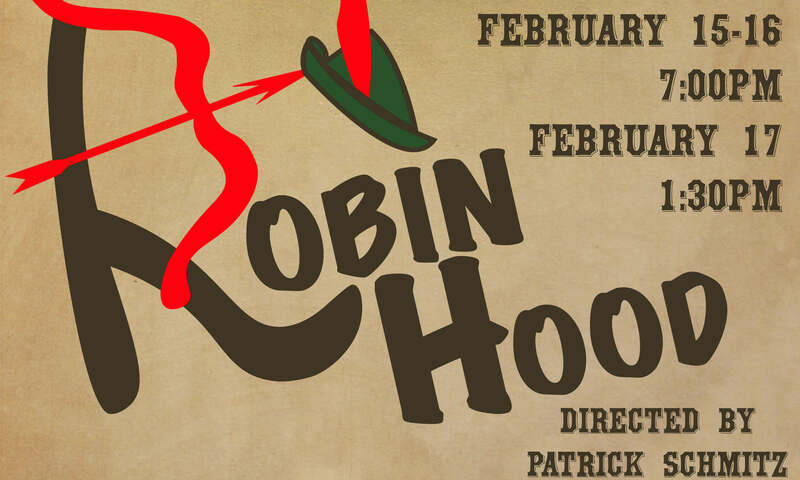 The Concordia University Players will perform an adaptation of Robin Hood in its Todd Wehr Auditorium on campus, 12800 North Lake Shore Drive, Mequon, February 15-17. Theater Director Lori Woodall-Schaufler will produce Robin Hood, which has had numerous adaptations and variations of the original story over the last six hundred years. A master of fine arts graduate from the Walt Disney owned California Institute of the Arts, she has infused enthusiasm into a program that has seen an exponential rise in the number of students auditioning for performances. Since 2013, Woodall-Schaufler has directed or produced nearly 20 performances. Patrick Schmitz is directing Robin Hood, which was first adapted for children in the 19th century. Director of Brown Deer High School’s theater department, he’s also served as lead improvisation coach at First Stage Children’s Theater in Milwaukee for 20 years. “We’ll be presenting the traditional tale of the outlaw folk hero,” said Woodall-Schaufler, “combined with a hysterical, sprawling, action-packed drama.” Early ballads link Robin Hood to identifiable real places, but in popular culture he and his band of “merry men” are portrayed as having lived in Sherwood Forest in Nottinghamshire, England. Friday, February 15, 7 p.m.
Saturday, February 16, 7 p.m.
Sunday, February 17, 1:30 p.m.
Tickets are priced at $10 for adults, $8 for seniors over 55 and students 13 and older, $5 for veterans, $3 for students 5-12, and no charge for children under 5. A number of public and private elementary schools in Ozaukee and Milwaukee County will attend 10 a.m. matinee performances February 13-15, including Our Redeemer Lutheran, Wauwatosa; St. Francis Borgia Catholic, Cedarburg; Our Father’s Lutheran, Greenfield, and Brown Deer Elementary. Sixteen Concordia students comprise the cast: Andrew Kline, Robin Hood; Ardis White, Maid Marian; Jeremy Gaeth, Sheriff; Ethan Boester, Little John; Asher Puls, Friar Tuck; Marlia King, Sheriff’s Wife; Giovanna Joy Greco, Lady Merle; Krista Ujcich, Salome; Alexandrea Willadsen, Annabel; Lauryn Heppe, Mother Meg; Emily Schuh, Beth; Owen Kannenberg, Stranger/King; Jack Kral and Eli Duero, Soldiers; Carrie Robinson, Old Widow; and Ethan Karschnik, Will Scarlet. Abby Pitchford is the stage manager. Other upcoming productions this spring are: The Mousetrap, April 12-14, and Steel Magnolias, April 26-28. For further details or to order advance tickets, please call Concordia University Wisconsin’s fine arts ticket hotline at 262-243-4444 and press 0. Concordia Students Participate in Annual Wisconsin AHEC Case Competition!